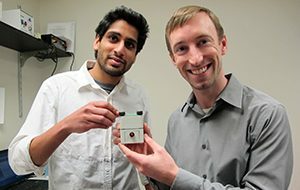 Punkaj Ahuja (left) and Patrick Leimkuehler (right) with a functional prototype blood test analyzer. A blood test yields a wealth of information crucial to a person’s health. What’s needed is a device that is small and inexpensive, yet capable of quickly providing a thorough analysis using a very small sample. With a two-year option license agreement from Case Western Reserve University’s Technology Transfer Office (TTO), Apollo Medical Devices LLC (Apollo) plans to further advance toward commercialization a point-of-care blood tester to fill that need. An option agreement allows time for a company to demonstrate it can make a technology commercially viable by proof of concept and attracting investment. Apollo emerged from the Laboratory for Biomedical Sensing, part of Case Western Reserve’s Department of Biomedical Engineering. The company will further develop a hand-held medical device that, with one drop of blood, can determine several health factors. Apollo, formed in October 2014, is quickly making progress and garnering financial support. In the past month, the company was awarded three grants, totaling more than $150,000, to help fund product development. The funding was provided by MAGNET (Manufacturing Advocacy & Growth Network), The Innovation Fund, which backs Northeast Ohio’s startups with pre-seed funds, and the Ohio Third Frontier program, which announced a $100,000 grant. Apollo also is a client of JumpStart’s Burton D. Morgan Mentoring Program. Biomedical Engineering Associate Professor Miklos Gratzl, who leads the Laboratory for Biomedical Sensing, said Apollo seeks to fill a market need for a blood test that produces results within five minutes and requires only a drop of blood from a finger prick, rather than blood drawn from a vein. The blood tester, or analyzer, weighs less than a pound and measures about 3 inches wide and 4 inches high. A blood sample can be placed on a disposable cartridge in a slot at the top. In pre-clinical tests, blood-test results are being compared with results of traditional methods. 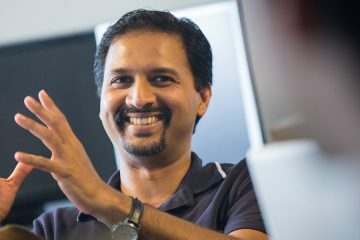 Punkaj Ahuja, Apollo’s founder and chief technology officer, is a graduate student in biomedical engineering in the Laboratory for Biomedical Sensing. He became fascinated with the technology while transitioning from undergraduate to graduate studies at Case Western Reserve about five years ago. Ahuja said the primary market for the product would be hospital emergency rooms and urgent-care medical centers. 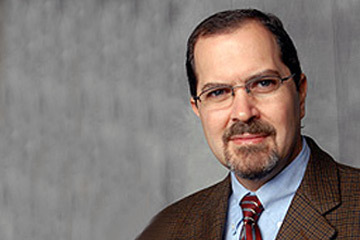 “That is where time really matters the most in improving patient outcomes,” he said. Ahuja said the device would also be useful in outpatient clinics, primary care physician offices and nursing homes. He also envisions use in the military or by first responders involved in disaster relief.